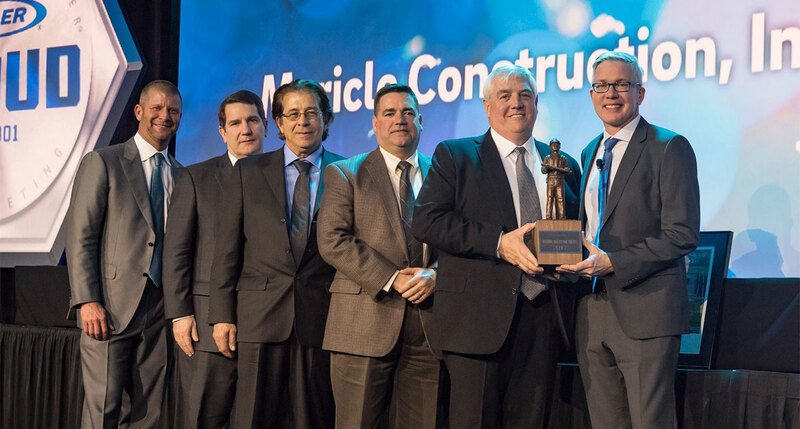 Wilkes-Barre, PA, March 22, 2018 — Mericle Construction Inc., a builder of industrial and office space headquartered in Plains Township, Pennsylvania near Wilkes-Barre, has been named the North American Volume Builder of the Year by Butler Manufacturing™. This award celebrates the Butler Builder® that completes the most sales of Butler buildings during the calendar year. The award was presented to Mericle President Robert Mericle, Chief Operating Officer Lew Sebia, Senior Vice President Bryan McManus, and Vice President of Construction Bob Gavlick during March ceremonies at the 2018 Butler Builder® Sales Meeting held in Kansas City, Missouri. Founded in Wilkes-Barre by Robert Mericle, Mericle Construction, Inc. has been a Butler Builder since 1987. The firm has developed more than 22 million square feet of industrial, flex, office, and medical space in Northeastern Pennsylvania. Mericle has provided space to several hundred firms including 40 Fortune 1000 companies. 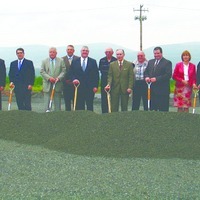 Mericle’s largest project is CenterPoint Commerce & Trade Park in Jenkins Township and Pittston Township. More than 5,400 people work in the park in more than 8 million square feet of space. 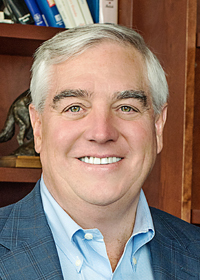 In 1985, Robert Mericle founded Mericle Properties and began his career in commercial real estate. In 1987 he formed Mericle Development Corporation, Mericle Construction, Inc., and Landmark Construction Group, Inc., to design, construct, and market institutional-grade industrial, office, and flex buildings throughout Northeastern Pennsylvania. In 1993, Robert established Mericle Commercial Real Estate Group, Inc., specializing in commercial/industrial brokerage properties, securing the company’s position as the premier full-service commercial real estate company serving Northeastern Pennsylvania. By 1997, Mericle Commercial Real Estate Services expanded its territory to include the Lehigh Valley area of Eastern Pennsylvania and the Williamsport Area of Central Pennsylvania. Under Robert Mericle’s leadership, the Mericle team of professionals has provided commercial real estate solutions to dozens of well-known companies including 40 Fortune 1000 firms. These include: Amazon.com, American Eagle Outfitters, Neiman Marcus, The Home Depot, Lowes, CVS Caremark, Michaels, Isuzu, Geisinger Health System, Kimberly Clark, FedEx Ground, Cintas, Pepsico, Merill Lynch, J.P. Boden, Simmons Manufacturing, Sealy, Benco Dental, Patterson Dental, Henry Schein and many other national brands. In an effort to improve Mericle’s sustainability, Rob created Mericle’s Green Building Program with a commitment to provide lower operating costs to tenants through the implementation of eco-friendly, energy-saving measures. He has also led efforts to introduce LEED to Northeastern Pennsylvania. LEED stands for “Leadership in Energy and Environmental Design,” and is a national industry measurement tool created by the United States Green Building Council to define the industry’s most environmentally conscious projects. The first three industrial buildings in Northeastern Pennsylvania to receive LEED status were Mericle buildings. In 2012, Robert Mericle announced the ReadyToGo!™ Program, a major investment initiative in new speculative buildings and fully prepared sites that is expected to facilitate the creation and retention of thousands of local jobs. Through this program, Mericle Construction is fully preparing more than 90 ReadyToGo!™ Sites and building dozens of speculative commercial buildings on approximately 1,700 acres it owns in 11 business parks in Luzerne and Lackawanna Counties. For each of its ReadyToGo!™ Sites, Mericle designs a building that best fits the parcel, obtains all of the permits and approvals necessary to begin construction, and clears, grades, and compacts each site. All of Mericle’s available properties including its ReadyToGo!™ Sites can be viewed at www.mericlereadytogo.com. Key to the ReadyToGo!™ Program is Mericle Construction’s in-house team of 50 heavy equipment operators, which completes all of the site work and utility and road extensions needed to make each parcel ready for the immediate construction of building foundations. Once each site is completed, Mericle examines market conditions and determines whether it is appropriate for speculative building construction. Mericle’s speculative building program continued unabated through the U.S. recession. Between 2008 and 2014, Mericle constructed 15 buildings on speculation in Northeastern Pennsylvania. 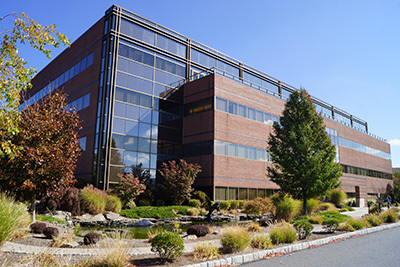 During that time, Mericle provided commercial real estate solutions in the Scranton, Pittston, Wilkes-Barre and Hazleton areas to 80 companies that created and retained over 7,300 local jobs. In 2017, Robert founded DiscoverNEPA™, a multi-media and social media campaign that promotes the many positive attributes to living and working in the 10 counties that make up Northeastern Pennsylvania. Many skilled workers, especially millennials, are drawn to those communities known as great places to live. Communities such as Austin, San Diego, Seattle, Raleigh-Durham, and Madison, often show up on best places to live surveys, giving them a decided advantage when it comes to retaining and recruiting skilled workers. Rob Mericle created DiscoverNEPA™ to show this region’s best and brightest that Northeastern Pennsylvania’s quality of life does compare favorably with the Austins and the Madisons, that you can do just about everything here, and that they should choose NEPA as the place to start and grow their careers. Mericle’s tenants and other area businesses are using DiscoverNEPA™ as a tool to recruit talented people and their families to this region. The area’s 18 colleges and universities are using DiscoverNEPA™ to convince prospective students – NEPA’s future workforce – to be educated here and stay here upon their graduation. Robert Mericle and Mericle Commercial Real Estate Services also support many charities and community initiatives in the locales where they conduct business. Since its founding in 1985, and under Robert Mericle’s leadership, Mericle Commercial Real Estate Services and the Mericle family have provided significant financial support to help hundreds of non-profit and community organizations throughout Northeastern Pennsylvania. Since just 2005 alone, the company has donated more than 60,000 man-hours to community service. In addition, Mericle employees and their families have donated thousands of hours of their personal time to many local worthy causes. While Robert Mericle, the Mericle family and the company’s employees have helped a wide variety of local organizations, the company focuses its philanthropic and volunteer efforts on youth programs and activities, educational opportunities, healthcare initiatives, aid to the economically disadvantaged, community park upgrades, and regional economic development programs. Commercial real estate developer Robert Mericle (“Rob”) is the founder and president of Mericle Commercial Real Estate Services. Since 1985, Rob Mericle has coordinated the development of more than 22 million square feet of bulk industrial, flex, medical and office space in 15 business parks along Pennsylvania’s I-81 Corridor. Close to 200 companies are housed in Robert Mericle’s buildings and together they employ more than 14,500 people in the Scranton/Wilkes-Barre/Hazleton area. Robert Mericle is credited with building the first speculative industrial facilities ever constructed by a private, for-profit developer in Northeastern Pennsylvania. Rob has more than 30 years of experience in commercial real estate services and is a licensed general contractor with an extensive background in commercial real estate development, construction, brokerage, and finance. His development firm uses a unique “master builder” model to self-perform its projects and provide quality space quickly and at affordable prices to tenants and clients. Through this vertically integrated structure, Mericle’s approximately 250 in-house professionals accomplish all phases of every company project. Mericle’s own employees find sites, design buildings, obtain all permits and approvals, perform site work, install infrastructure, construct buildings, customize build-out, and maintain the property once it has been completed. Through this corporate model, Mericle cuts out most of the subcontractors or “profit centers” that often slow projects down and drive costs up. Mericle has never missed a project deadline or experienced cost overruns on any of its projects. Learn how Mericle Commercial Real Estate Services can help take your business to the next level by contacting us today. Butler Manufacturing™ provides a comprehensive combination of design-build construction solutions and innovative building technology to the nonresidential market. Every Butler®building solution is backed by unrivaled research and testing, ensuring that Butler building systems perform to the highest standards. Through a network of more than 1,400 Butler Builder® dealers worldwide and corporate accounts services, Butler addresses the demand for environmentally friendly and energy-efficient design in community, commercial and industrial buildings. Butler is headquartered in Kansas City, Missouri, and is a division of BlueScope Buildings North America, Inc. For more information, visit www.butlermfg.com.